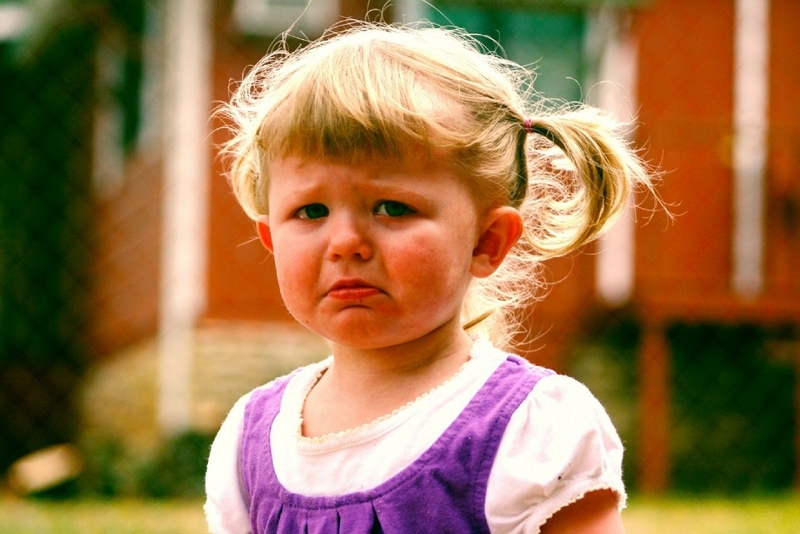 Top Tips For Taming Tantrums - ProudMummy.com the Web's Community for Mums. Ah, the Terrible Two's, or is it the Troublesome Threes? Or the Finnicky Fours? (Please don't say this lasts till the Tyrannous Teens!). Whatever age it hits, there's nothing worse than watching your angelic, loving tot, go all Jeckyll and Hyde on you as they turn into a tantrum throwing Tasmanian devil, with a hissy fit to rival Kim Kardashian when Kanye forgets her birthday. So aside from the ole swapping the juice bottle with a hearty dose of Nytol trick, how do you deal with toddler tantrums? Before I go into my top tips for Taming Tantrums just remember: you are not alone. That mum rolling her eyes at you across the supermarket, is most likely doing out of sympathy, not snidely. The grandad grinning at you as you battle a hysterical tot into the car seat (how do they go so rigid!) is most likely remembering the time he went through that with his own kids, rather than mocking your pain. All children go though it, you are not the only one with a toddler that has the vocal capacity of Mariah Carey circa the early 90's. The only difference is how you might deal with it. No, we don't mean bribery (that works too but you'll eventually come across the day when you have no chocolate buttons in your bag and then what?) We mean diverting their attention to something else. If you are super organised this may be something you keep with you at all times for just such an occasion, such as a favourite book or a toy that love. If, like most of us, you're caught empty handed, this can be any old thing that changes the focus for a second. For example in the supermarket when things are getting hairier than Tom Selleck's chest region, then become enthralled with how the fresh fish on the counter looks like it's winking at you, or how that bunch of bananas make an excellent make shift dinosaur claw. Kids are easily distracted. Take advantage of this. It's easy to build into a confrontation every time your child grows a wobbly. Remember though that tantrums are usually caused by your child's inability to express their emotions appropriately. Feeling overwhelmed they bubble over and if each time it happens they get a reaction from you, they learn that tantrums do get a result. So next time they start slapping the floor harder than Peggy Mitchell slapping Pat Butcher, try stepping away. If they are safe and it's possible to do so, leave them to get it all out. Yes we appreciate it's harder to do when you're out and about, but as we said, the rest of the world knows how you feel. Give them a bit of space, give yourself a few minutes to breathe (deep breathing usually works, failing that picture Chris Hemsworth on a rainy day). Once they have blown off some steam you can then go back and try to talk things though. Just remember they're only young, chances are they won't even remember why they went off on one in the first place! As we said before, tantrums are usually caused by big emotions overwhelming a little person, who just isn't yet able to articulate how they feel or what they need. Reassure your child that you still love them, (sounds wishy washy we know, but children need to hear it at times like this) and then try to discover the route of the problem. They wanted to buy the cereal that you said no to because you've already got two boxes at home? Sometime soon your explanation won't cut it, so a great trick is to take a photo on your phone of what they wanted. This then assures them that you are listening and taking their request seriously, but you can tell them that you'll take a picture so you can check when you get home. This works for loads of situations, just knowing that you listened enough to get the camera out usually helps them to calm down enough to snap out of it. How do you deal with tantrums? Help out the next mum and share your tricks! Leave them in the comment section below.